Science tells us perpetual motion is impossible, yet we see it all the time in some of our friends. 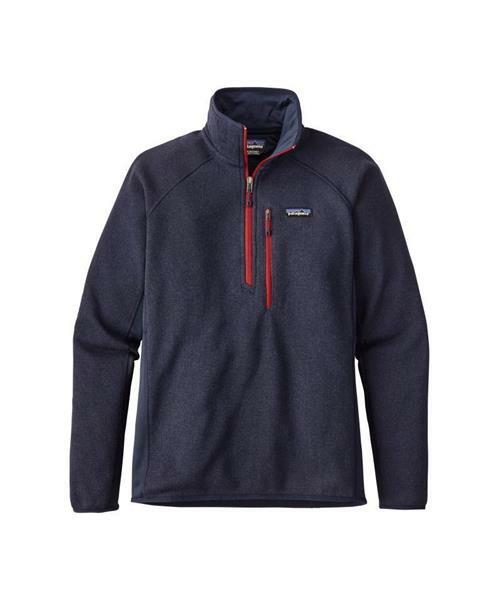 So Patagonia made the Performance Better Sweater® 1/4-Zip for them. Lightweight, warm and motion-friendly, this dynamic jacket is made from 100% polyester fleece fabric with a sweater-knit face and a cozy interior throughout the body and collar so you can scramble talus all day and still look presentable for a trip downtown. Made of Polartec® Power Stretch®, the side panels have a tough, jersey face for durability and a fleece backing for a skin-friendly feel. The raglan sleeve design, with underarm gussets, allows a full range of mobility. Flat-seam construction reduces bulk and helps eliminate seam chafe. Zippered handwarmer pockets keep you organized and a zippered chest pocket is earbud-compatible. The quarter-zip design has a zip-through collar for additional warmth and protection. Elasticized cuffs and hem seal in your heat for sunrise starts. Hip length.